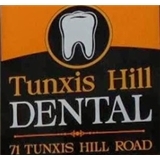 Tunxis Hill Dental/ Dr Meenal Kulkarni PC (Fairfield) - Book Appointment Online! I have been seeing Dr. Kulkarni for a few years for routine check-ups and cleanings, and every visit reminds me how great she is! Dr. Kulkarni has outstanding skills and a wonderful bedside manner. Her office is professional and courteous. Scheduling appointments is easy and convenient. I highly recommend Dr. Kulkarni!